How Can G Suite Become an Identity-as-a-Service Platform? 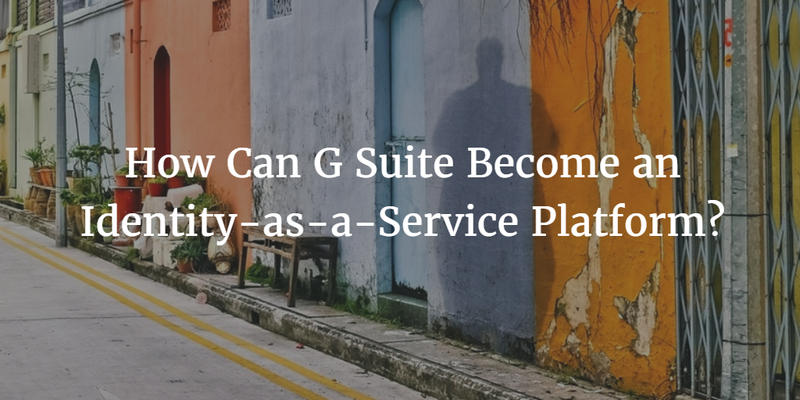 Home » Blog » How Can G Suite Become an Identity-as-a-Service Platform? G Suite is the new name for Google Apps for Work. While the name is new, the challenges with G Suite are the same as what they were with Google Apps. G Suite is one of the most popular productivity platforms in the world, but the challenge is to centralize control over all users. G Suite is not an Identity-as-a-Service platform and as such ends up creating a significant amount of work for IT admins to manage. G Suite revolutionized what internal IT infrastructure looked like in the late 2000s. What was previously hosted on-prem, now shifted to the cloud. Specifically, IT was able to eliminate their Microsoft Exchange email server and file servers as well. Productivity applications were driven from the cloud. The benefits for IT were massive, with the elimination of significant chunks of their infrastructure. That means less work for IT, better reliability, and less expense. G Suite as a Core Identity Provider? While moving to G Suite removes the need for Exchange, it unfortunately does not eliminate the need for Microsoft Active Directory. The Exchange / Active Directory duo has been a formidable solution which Google broke apart. But they only eliminated the need for Exchange. IT organizations still needed a replacement for Active Directory if they wanted to move their entire infrastructure to the cloud. Modern Identity-as-a-Service platforms are tightly integrated with G Suite. The goal for IT admins is to leverage these cloud identity management solutions to authenticate whatever a user needs to access including their systems, applications, and networks. The benefit of leveraging a virtual identity provider is that the user’s G Suite credentials can be utilized for the user’s laptop or desktop, AWS cloud servers, on-prem applications, and access to the WiFi network. Users have one set of credentials for access to their IT resources and IT has the control that they are looking for without the work of an on-prem directory service. G Suite Identity-as-a-Service capabilities are possible when you integrate a modern Directory-as-a-Service® platform with G Suite. 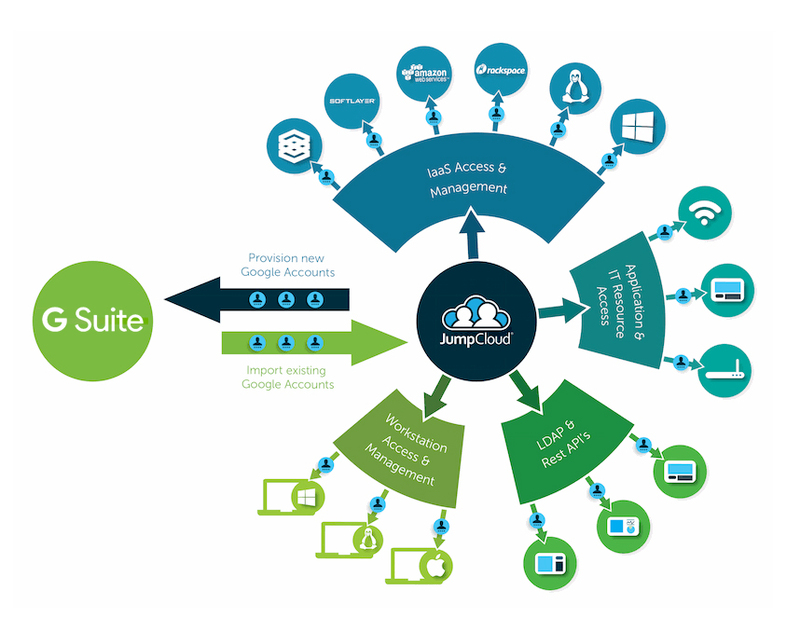 If you would like to learn more about how to create a central user management platform to go along with your cloud productivity platform, drop us a note. We can help show you how you can replace Active Directory along with Exchange with the right set of tools. If you would like to check out our Identity-as-a-Service platform, sign-up for a free account. Your first 10 users are free forever.